In a recent post that garnered some attention, I had said there were some new Insprion systems based on Intel’s latest Core processors. Welcome Dell’s new Inspiron R series laptops. That means these new machines will offer great performance across all kinds of tasks. These new laptops will come in three sizes: 14, 15 or 17 inches. All three will support i3, i5 and i7 processors with the updated Cougar Point chipset and will also offer support for high-end features like USB 3.0, Intel Wireless Display, HDMI 1.4, SRS sound and more. What this means ia that these new laptops will be great across a variety of tasks, so if you listen to music, or edit tons of photos or video, all three of these machines have power to spare. And battery life is solid as well with the stadard 6-cell battery. 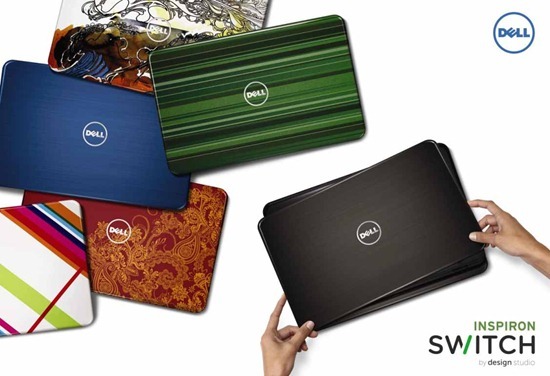 With the optional 9-cell extended battery, the Inspiron 15R gets up to 13 hours. The new Inspiron R models are available today in the U.S. on Dell.com and will be available through Dell’s U.S. retail partners in the coming months. I can't find the 14" with i7 processors…. are they going to show up, be it with Inspiron or XPS? Great spec and brilliant colored cover! I purchased a new Inspiron 15R. And I noticed the machine that is B2 Stepping. I updated the BIOS to A03, loaded default and saved. However, it was still showed B2 stepping.